For those who qualify, an Idaho VA (Veterans Administration) home mortgage is a great loan option for National Guard, active, non-active, and also retired armed forces of the military. What are the main reasons Boise, Idaho VA Home Loans are a great loan option? VA mortgage loans in Idaho can be utilized for buying a house, building a home, or refinancing a current home mortgage. 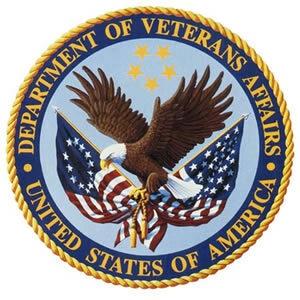 Greater than 27 million professionals as well as active-duty personnel are eligible for VA funding, yet many aren’t mindful it may be feasible for them to buy residences once again with VA financing using remaining or recovered loan entitlement? If you want to acquire a house in Idaho with your VA home loan mortgage benefit, it’s as simple as any other kind of various home loan financing and there are much more benefits to you when you utilize your VA Home mortgage financing option. Investing in a house with a VA mortgage loan might look like a complicated job initially at first glance, however it is actually rather uncomplicated. Discover a loan provider that not only can do VA loans in Idaho, but is also an Idaho VA Home Mortgage Specialist (subtle details of VA mortgages are a lot simpler to undertake if you’re collaborating with a person who is proficient at the VA Home Loan procedure). At Diversified Mortgage Group we have over 25 years experience in the lending industry. So rest assured if you are working with us we will make the VA home buying process easy on you. Diversified Mortgage Group will gather income, asset and credit report details from you as well as establish the maximum amount of home you’re pre-approved to get and also release a Pre-Approval letter to you as well as your Real estate professional. Remember when choosing the size of home you wish to not have a mortgage payment that’s so high that it consumes all your month-to-month revenue. You want to stay at a payment that you are comfortable with. You may wish to invest some cash repairing your house or obtaining furniture, and so on. As well as it is always beneficial to have adequate cash left over after making your house payment each month. This allows you to appreciate time with your family and other enjoyable things without worrying about money. Make Use Of an Idaho Real Estate Professional that’s familiar with VA Mortgage Financing and they will also help you discover the home you would love to buy. Your Realtor will help you with getting a contract in place to purchase the home you are wanting. Diversified Mortgage Group will order a VA appraisal/inspection. The VA appraiser does a more complete evaluation of the residential property than with typical financing. The reason for doing this is not just to determine that the home is worth the price the seller is asking, but additionally to ensure that there are no problems with the building. Their work is to safeguard the Veteran. Some Realtors will certainly likewise suggest obtaining a home inspection report. When the appraisal is completed and it is acceptable to the underwriting division, the underwriter establishes that your home loan application satisfies the VA loan requirements, and your VA home mortgage is approved. You (and co-borrower, if appropriate) will after that participate in the loan closing and sign the relevant documents. The closing escrow agent or lawyer will explain the VA home loan terms and demands as well as monthly payment information. Q: My parent is a Veteran and qualifies for VA financing. Can I obtain VA financing if I have not been in the armed forces myself? Unfortunately no, VA home loan financing does not allow a veteran’s child to take advantage of the VA benefits. Q: What is required by the lender to confirm the record of my service in the armed forces? National guards or Veterans, activated for Federal Active Service, your DD214 for active-duty, from your commanding officer can do a statement of service; For the National Guard that has been discharged, never activated for Federal Active duty, either NGB Form 22 or 23. Q: My partner that has actually died was a qualified veteran for a VA Home Mortgage. Am I eligible for the mortgage benefits myself? If they have not remarried a surviving spouse would be eligible, and the eligible veteran passed away during active-duty service or as a result of a service-related impairment. Q: Is VA lending much better than a conventional home loan? In many cases, yes. VA assured loans typically use a lower interest rate than traditional home mortgages, unlike conventional as well as FHA financing, they do not need a PMI Private mortgage insurance policy when borrowing greater than 80% of a house’s value, and getting approved can be simpler than with various other home loan programs. Q: Does it take a long time to get approved for an VA home loan mortgage in Idaho? It differs depending upon the present workload of your loan provider, yet it is normally the like as for conventional mortgages. An approval to purchase can typically be completed in as little as 2-3 days. Once you’re in contract to buy, the closing procedure will take anywhere from 3 weeks to 45 days typically. Is It Easy To Refinance a VA Home Loan? Yes it is so easy that we actually have a loan program that is called the Boise, Idaho VA Streamline Refinance.